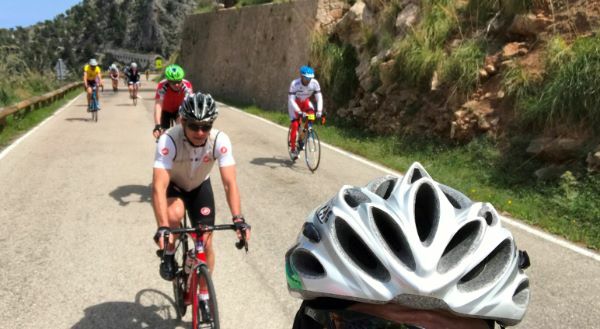 This was an awesome day, not just in terms of riding the bike and ticking off a challenge but so much fun and a day that encompassed so much about why cycling in Mallorca is so popular! 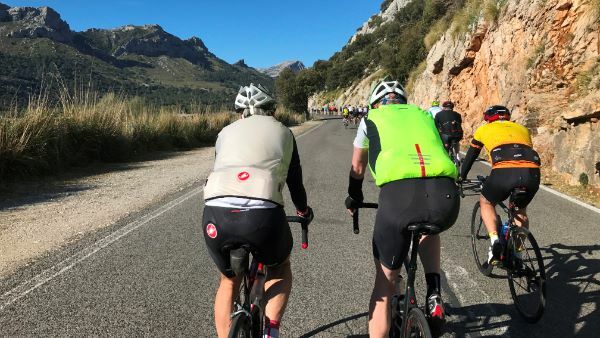 I’m not going to duplicate too much of what I have already said in our weekly blog about this week but down below is an article sent in by Hugh Poulter who was one of the Mallorca Cycling Tours clients that preceding week and also rode in the event. Thanks Hugh! 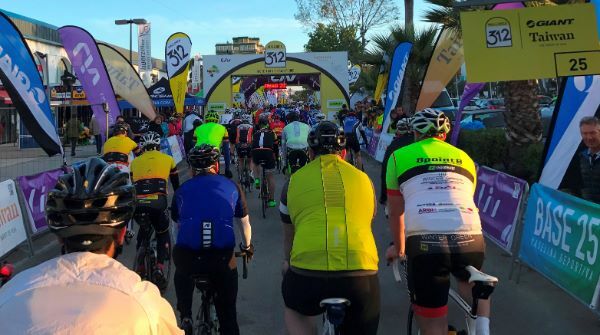 To Alcudia or bust… Our Mallorca 312 started just over a year ago. 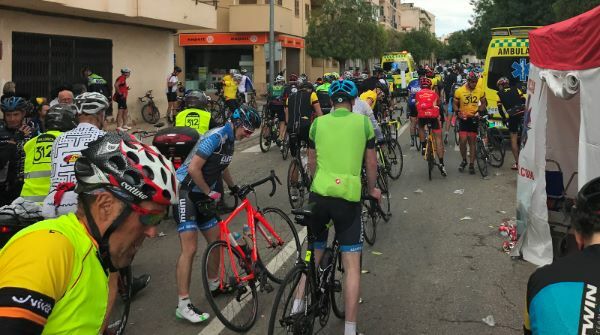 It was the direct result of a few too many beers at the Duva bar the night before a Mallorca Cycling Tours rest day. A somewhat slurred conversation with my cycling buddy Julian went along the lines of; Julian: “Let’s ride the 312 next year?” Me: “Sounds like a great idea.” And, at the time, it did. A year later, 6.30am and 5 deg c at the tail end of a half kilometre queue of shivering lycra, I was not so sure. Some 20 minutes after the official 7am start, our part of the 6,500-strong carbon-fibre snake started to move to the sound a Garmins’ pinging and cleats snapping in. A surge of excitement fuelled by some anxiety flowed through me. 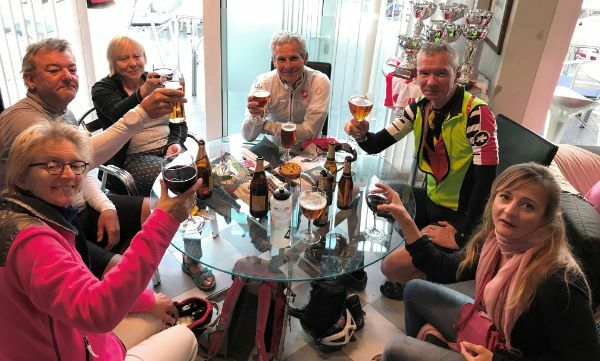 “Hey, I told myself – it’s only another bike ride.” The middle route we chose was a small matter of 225 km and 3,973 m of climbing… Not quite your average local bike shop social outing. We were prepared. 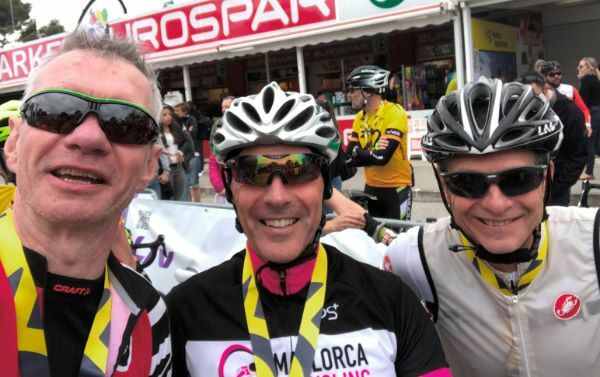 Mark and his Mallorca Cycling Tours colleagues (thanks Steve and Ben) had gone to a lot of trouble to ensure we were in the best possible shape for the big day. The week started with a long, flatish ride followed by a hard, shorter climbing route the next day, then each ride tapered down to rest days. We had a strategy, too. 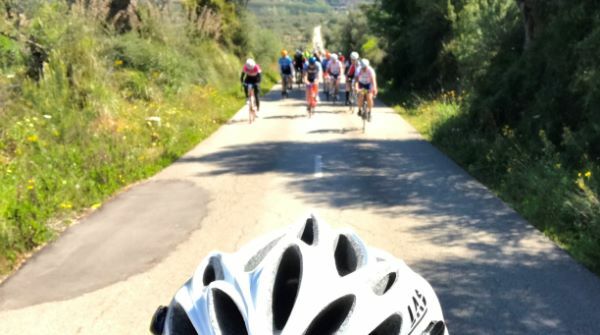 Keep the pace sensible, spin up the long early climbs, keep hydrated and eat every 30 minutes. It worked a treat. 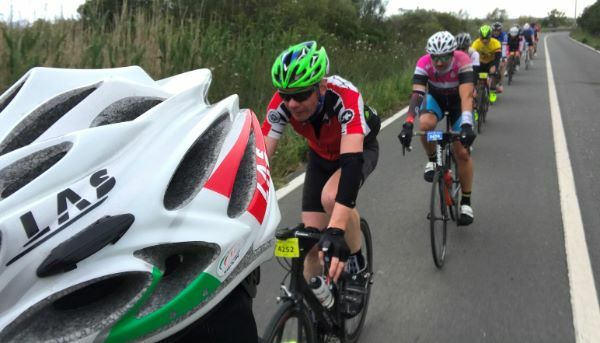 The final ace in our pack was Mark – a cycling machine whose promise of a wheel in the final 40 km after the last feed station was like a mental oasis in a desert of pain. Mark, Julian and I planned to try and keep together as much as possible which we did once we had managed to establish contact – no easy matter in a sea of gilets. The three of us hit the ground running, so to speak, mainly because we were all freezing. 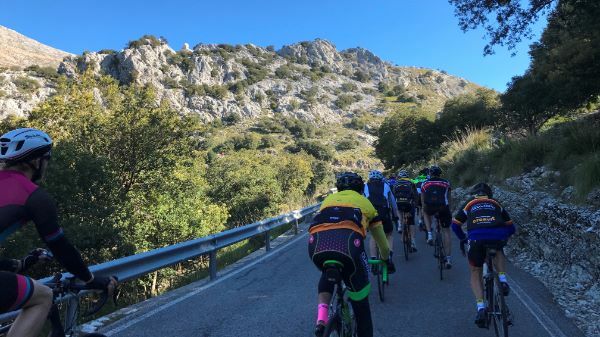 A fast run past the Duva allowed us to discard a layer to Julian’s wife and before we knew it we were into the first climb to the Coll de Femenia at 515m. We were feeling nicely relaxed. A lot of riders passed us as we spun up the gentle 5 to 6% gradient enjoying spectacular views out to the north across the mountain valleys. There were no surprises as we had ridden this section a few days ago on route to Sa Colobra. We reached the 890m peak of Puig Major slightly ahead of schedule in under two hours after a brief water bottle top up at the first feed station. The temperature was sitting at a balmy 7 deg c by this time. 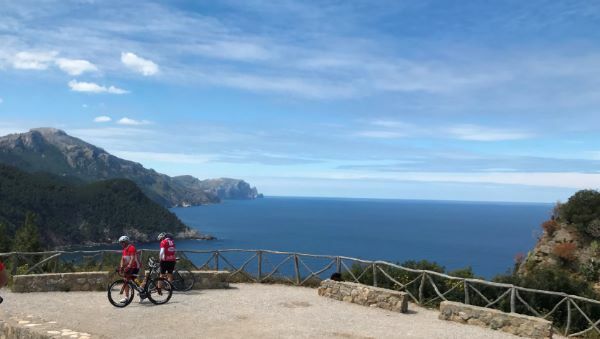 The 11 km descent to Soller was interesting. 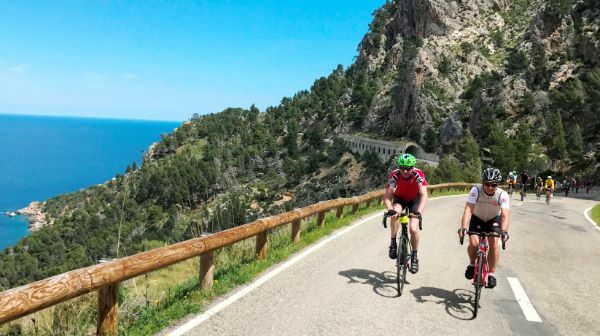 All three of us are quick descenders but you needed eyes in the back and sides of your head to avoid incoming wannabee Romain Bardet’s and navigate around the swervers, brakers and panicers while hitting speeds of up to 60km/h on these beautiful flowing bends. The closed roads were a mixed blessing. Fantastic for fast descending, but also quite unnerving when surrounded by multi-directional carbon missiles. The next leg was a glorious roller-coaster and we all parted company for a while and got heads down to push on to the feed station at 95km. Sharp elbows were a definite asset in the fight for a jam sandwich, banana and protein bars. Hard won food was stuffed into shirt pockets and we regrouped out of the melee for a rapid feed before getting back on the road. The next 100km required some deep digging for me. The realisation that after some four hours of riding there were still 2,500m of climbing was not filling me with joy. Again, the gang of three separated as we rode our own rides along a beautiful undulating coast road. 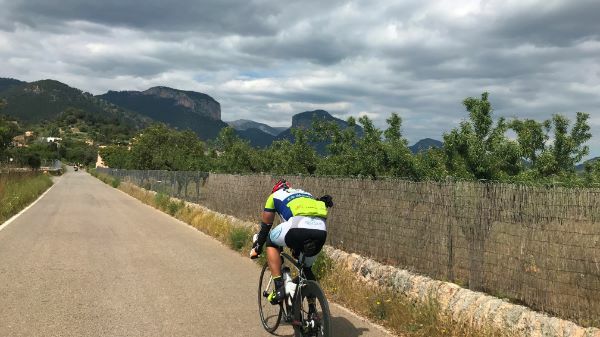 Although feeling a little tired and cold, the stunning scenery passed by as the kilometres and metres clocked up interjected by passing meet and greats with fellow peddlers. 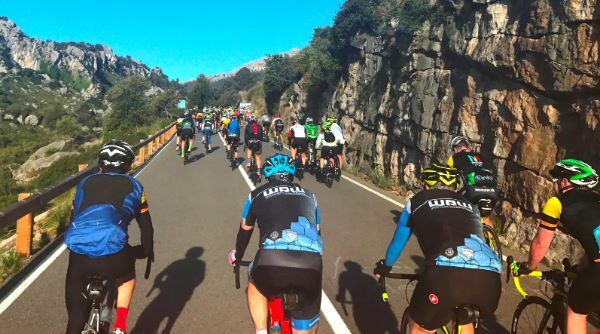 We regrouped again at 135km Es Capdella feeding frenzy before hitting two energy-sapping little climbs – Galilea and Grau de Superna (465m). In my head, I knew the worst was over at 150km, so started to up the pace and pick up some fast wheels, passing several pelotons of slower moving traffic in the process. 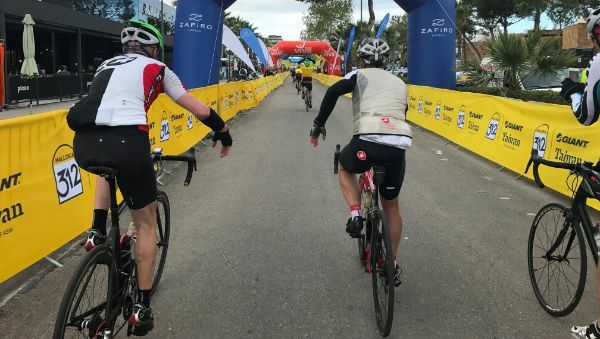 The three of us regrouped at the last feed station for the final push and Mark, true to his word, provided a wheel into a sharp headwind giving us all a lesson in endurance and power. 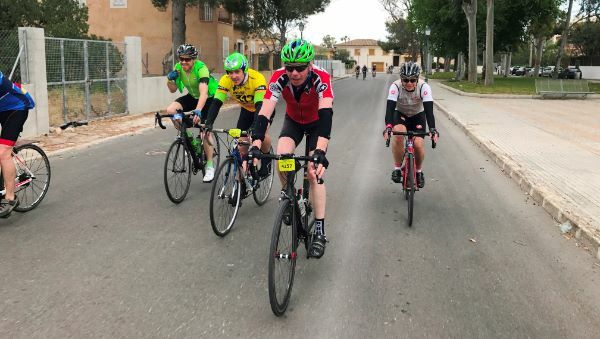 And we flew the last 40 or so kms picking up and dropping many riders and passing hundreds in a 30 km/h-plus express train to Alcudia.